Susan Morrison visits the Surgeons' Hall museums in Edinburgh with director of heritage Chris Henry and explores ghostly afterlives with historian Dr Martha McGill. This week Susan Morrison visits the Surgeons' Hall museums in Edinburgh with Director of Heritage, Chris Henry to find out about the first executed criminal to be dissected, David Myles and what an 18th century dissection involved. Historian of Scottish supernatural beings, Dr Martha McGill tells Susan about the surgeon who did the dissecting: Dr Archibald Pitcairn and the dream of a dead friend returned which haunted him all his life. Delving deeper into the afterlife, Susan finds out how the Ancient Egyptians got there from Dr Margaret Maitland of National Museums of Scotland, the curator of their exhibition 'The Tomb'. 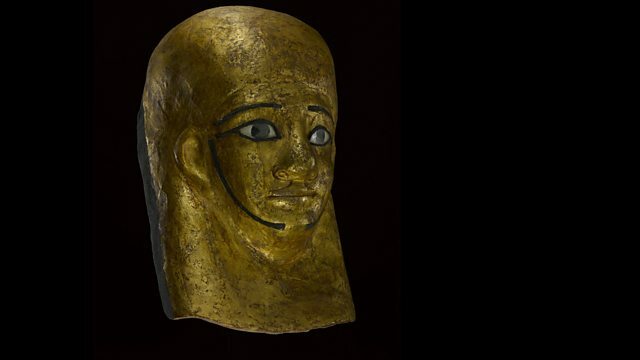 It's an exhibition built from the remarkable finds made by Scottish archaeologists in Egypt. Finally this week's WW1 At Home remembers the Americans' entry into the war and their naval base at Inverness with local historian Richard Jenner. IV3 8NF - The US Navy established a base in Inverness in 1917.